William Schettine's Isabelle proved she could handle stakes competition with two wins in her last three starts. She now will see if that success translates to a higher level in headlining a field of six fillies and mares 4-years-old and up in the Grade 3, $200,000 Top Flight Invitational on Sunday at Aqueduct Racetrack. Isabelle, trained by Hall of Famer Bill Mott, went gate-to-wire for an impressive 12-length victory last out in the Heavenly Prize on March 4, notching a career-best 102 Beyer Speed Figure in winning against stakes company for the second time in her last three starts. The 8-5 morning line favorite drew post 4 in her first graded stakes start since the 2014 Grade 3 Victory Ride. Kendrick Carmouche, who piloted her to two wins and a runner-up finish in his three starts, will have the return call. Verve's Tale, the field's only graded stakes winner, shipped from Florida after eight breezes since February at Palm Meadows Training Center. Her last work, going four furlongs in 48 seconds flat on Tuesday, inspired confidence in trainer Barclay Tagg. “It's a great place to train and she's done well here,” Tagg said by phone. Verve's Tale, the 5-2 choice, has won at the Top Flight distance of 1 1/8 miles when she captured the Grade 3 Comely on November 26 at the Big A, earning a 93 Beyer. Paco Lopez will ride from post 3. Mo' Green has been trying to make people know who she is, finishing second last out for her best finish in a graded stakes race in the Grade 2 Royal Delta. 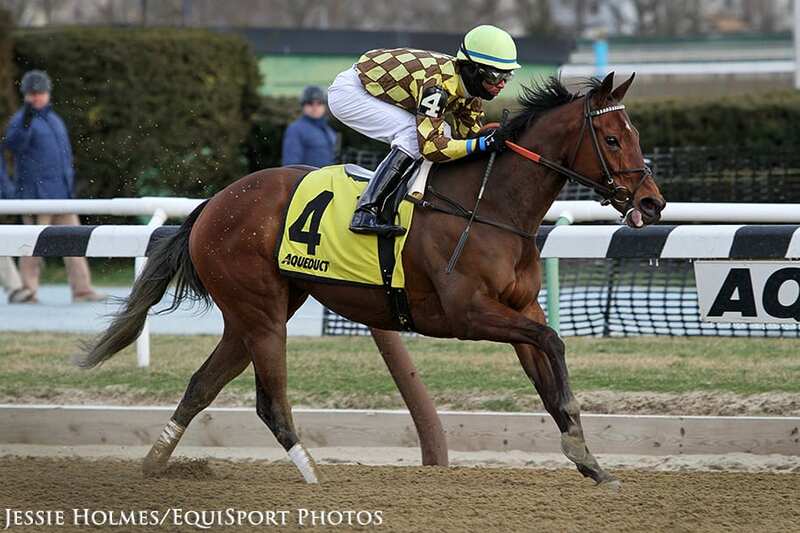 Trained by Joseph Orseno, the 4-year-old Uncle Mo filly, the 3-1 choice, will make her Aqueduct debut in leaving post 5 in tandem with jockey Irad Ortiz, Jr.
Winter will return to graded stakes company after winning her last three starts and four of her last five. The Cathal Lynch-trainee is 5-3-0 in 11 career starts and has finished in the money in her last six races. The 5-1 choice will depart from the outside with Trevor McCarthy. A pair of 20-1 longshots, Disco Rose and Oasis at Midnight, round out the field. Disco Rose has won two of her last three starts against allowance company and will break from the rail with Frankie Pennington. Oasis at Midnight, a 7-year-old dark bay mare, will be making her 45th career start. She will leave from post 2 with Rajiv Maragh. This entry was posted in Racing and tagged aqueduct, Barclay Tagg, bill mott, heavenly prize stakes, isabelle, Kendrick Carmouche, mo' green, top flight invitational, verve's tale by NYRA Press Office. Bookmark the permalink.